Wyatt spent most of his years traveling and living in the deserts of the Southwest with his four brothers Virgil, Morgan, James and Warren, as well as his wife Josie. His lifelong passion for mining, gambling and sports led him from one boomtown to another across the span of the western frontier and into the 20th century. Wyatt Berry Stapp Earp was born in Monmouth, Illinois on March 19, 1848. In 1864 he moved with his parents to Colton, California near San Bernardino, where he was employed as a teamster and railroad worker. Wyatt returned east and married in 1870, but after the sudden death of his new bride, he drifted across the Indian Territory working as a buffalo hunter and stagecoach driver. In 1875 he arrived in Wichita, Kansas where he joined the police force. In 1876, he moved to Dodge City, Kansas where he became a faro dealer at the famous Long Branch Saloon and assistant marshal of the town. It was here he met and became lifelong friends with Bat Masterson and Doc Holliday, and established his reputation as a notable lawman and gambler. 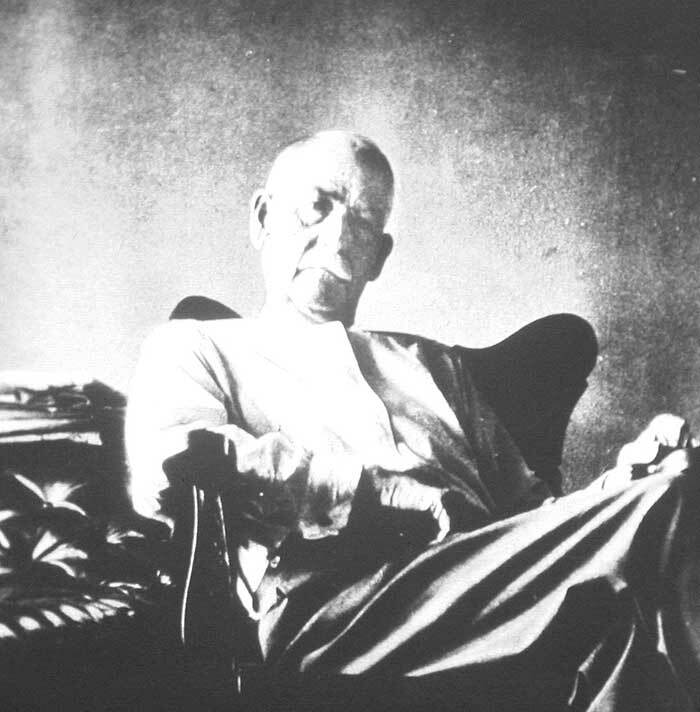 Leaving Dodge City with his second wife in 1878, Wyatt traveled to New Mexico and California, working for a time as a Wells Fargo agent. In 1879 he joined his brothers and their wives in the new silver mining town of Tombstone, Arizona. Wyatt planned to establish a stage line here, but upon discovering that there were already two in town, he acquired the gambling concession at the Oriental Saloon. His brother Virgil became town marshal, while Morgan took a job with the police department. 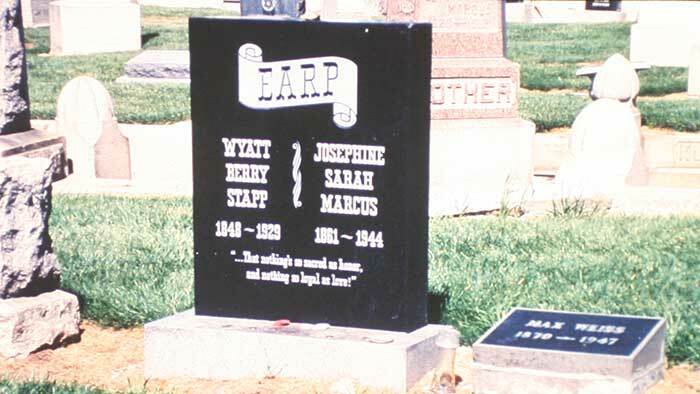 It was here that Wyatt met his third wife Josie (Josephine Marcus Earp), who remained with him until his death. On October 26, 1881, a feud that had developed between the Earp brothers and a gang led by Ike Clanton culminated in the most celebrated gunfight in western folklore -- the Gunfight at the OK Corral. Three of the Clanton gang were killed, while Ike and another wounded member escaped. 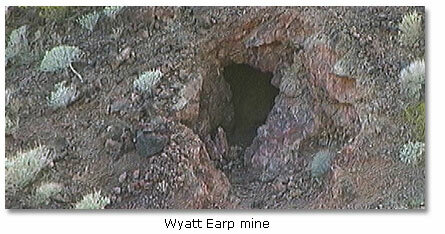 The three Earp brothers -- Virgil, Wyatt and Morgan -- along with Doc Holliday survived. Both Morgan and Virgil were wounded, and Virgil was later terminated as marshal for his role in the homicides. In March, 1882 Morgan Earp was gunned down by unknown assassins. Wyatt, along with his brother Warren and some friends, embarked on a vendetta during which all four suspects were eventually killed. After Wyatt was accused of these murders, Wyatt and Josie fled Arizona to Colorado. They made the rounds of western mining camps over the next few years. They turned up in Coeur d' Alene, Idaho and in 1886 settled briefly in booming San Diego, where Wyatt gambled and invested in real estate and saloons. 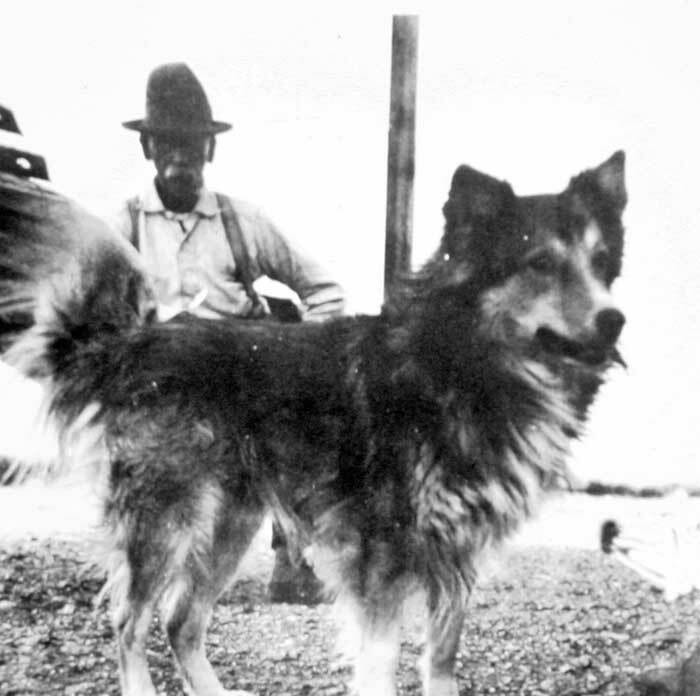 In 1897 Wyatt and Josie headed for Nome, Alaska where they operated a saloon during the height of the Alaska Gold Rush. They returned to the states in 1901 with an estimated $80,000 and immediately headed for the gold strike in Tonopah, Nevada, where saloon, gambling and mining interests once again proved profitable. Thereafter, Wyatt took up prospecting in earnest, staking claims just outside Death Valley and elsewhere in the Mojave Desert. 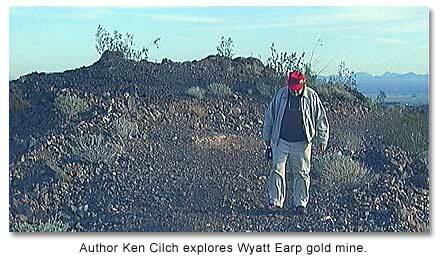 In 1906 he discovered several veins that contained gold and copper near Vidal, California on the Colorado River and filed numerous claims at the base of the Whipple Mountains. 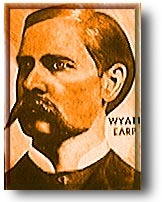 Click here if you would like to find out more about the book Wyatt Earp: The Missing Years. The lore of the West has been expanded by Cilch's book on Wyatt Earp. Western buffs will enjoy the ride! There were less then 6,000 of these books printed and they are difficut to find. Get your copy now. Wyatt spent the winters of his final years working these claims in the Mojave Desert and living with Josie in their Vidal cottage. He and Josie summered in Los Angeles, where they befriended early Hollywood actors and lived off real estate and mining investments. On Jan. 13, 1929, Wyatt Earp died in Los Angeles at the age of 80. Cowboy actors Tom Mix and William S. Hart were among his pallbearers. Wyatt's cremated ashes were buried in Josie's family plot in Colma, California, just south of San Francisco. When Josie died at the age of 75, she was buried there beside him. Earp's enduring legacies include his role in shaping the West as a frontiersman, a lawman, a gambler and a prospector. A post office near his Mojave Desert mining claims along the Colorado River on Route 62 bears his name -- "Earp, California 92242". On a recent trip to Earp, California, DesertUSA staff was accompanied by Ken Cilch, author of the book, "Wyatt Earp: The Missing Years." With Ken's help we found one of Wyatt's old mining claims, some rusty old nails and some interesting rocks. We also visited the Earp Post Office, which had many pictures and displays of Wyatt Earp.